It's a little crazy to me that I'm saying goodbye to 2014! It's been a year of growth - some welcome and some painful. But I'm thankful for all that December brought with it, and I look forward to seeing what 2015 holds. 1. Butter London on Black Friday - I am utterly obsessed with nail polish, and Butter London is my brand of choice. Because it's expensive, I wait all year for when it's majorly marked down on Black Friday and Cyber Monday. I definitely racked up this year and squealed when these finally arrived on my doorstep. 2. The Boy with the Bread - The danger in online shopping for your book-loving friends is that you often discover things that you want to buy yourself. Such is the case with this t-shirt (and the bookmarks below)! When I spotted this shirt, my Peeta-loving heart couldn't resist. I know it's totally nerdy, but isn't it so cute?! 3. Bookmark Beauties - I typically use random items for bookmarks, but I'm breaking that habit now that I have these beauties. The perfect way to save my place! I got: Jane Austen calligraphy quote, L.M. Montgomery quote, and three magnetic bookmarks. You'll also spy a few extra goodies from Pemberley Pond! 6. Christmas Eve PJs & New Bunny - Growing up, we always got to open one present on Christmas Eve: new pajamas! I thought the tradition would stop once I got married, but I'm so happy it's continued. Also, I told my mom I wanted a Jellycat bunny one day for future babies, but she decided to get me one for myself. LOVE. 7. Merry Christmas! - I hope everyone had a very Merry Christmas! I spent the morning with my husband and pup, and then we spent the afternoon with my family. I absolutely love this holiday, the meaning behind it, and being able to spend so much time with the people I love most in the world. 8. Bookish Handcrafted Card - I'm so in awe of Estelle and her craftiness! Her handcrafted bookish cards are so thoughtful and special, and I couldn't wait to see what book she'd replicate for me. 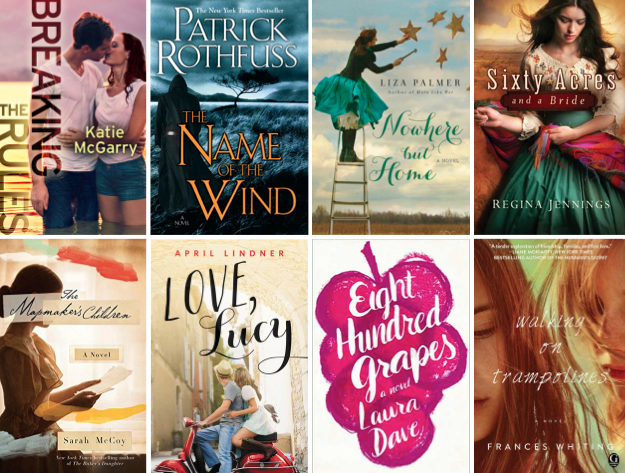 I couldn't have been happier when I saw the result: You Had Me at Hello was one of my favorite adult fiction reads in 2014! so it was always a reason to celebrate. Everything was okay after that." 1. 5th Annual End of the Year Book Survey created by Jamie from The Perpetual Page-Turner - It's one of the most time-consuming posts I put together all year, but I'm in love with Jamie's End of the Year Book Survey. I posted my answers a few days ago, but I can't wait to explore all the surveys linked up to this post! 2. Ship Shape: Banter, Bicker, Bang by Gillian from Writers of Wrongs - Hate-to-love couples are one of my favorite romantic tropes! Like Gillian, I blame Elizabeth and Darcy in Pride and Prejudice for this obsession. I enjoyed this reminder of why I love it so much - and can't wait to read/watch some of Gillian's recs. 3. Happy New Year! (And a quick look back at 2014.) by Anne from Modern Mrs. Darcy - I only recently discovered this blog (thanks to a friend at work), but I'm such a fan of it now! I know this post was technically published January 1st, but this will be my guide to combing through this blog's past year in posts. 4. Best Austenesque/Jane Austen-inspired Books of 2014 from Austenprose - This was also published January 1st, but I figured it still counts since it's a 2014 recap. I love Austen-inspired books, and I'm frequently checking Austenprose for recommendations. Now, they're all right at my fingertips with this round up! four years since the last one. While this is a totally different sound for Brooke, I love this new direction! Unbroken (2014) starring Jack O'Connell - When I read Unbroken a few years ago, I was obsessed. I've literally pushed this book on so many people - it's stayed in my mind like nothing else I've ever read. It's a hard read, especially because it's true, but so worth it. While the book is still better, the movie is incredible, too. I love the pajamas tradition, that is so cute. Christmas is my favorite Holiday. It has such a magical feeling to it. Estelle's cards are beautiful, I've seen them going around the blogosphere and it's so creative. You got some awesome looking books there. I can't wait to read Mistborn this year. The pile of Juliet Marillier books makes me very happy ;) Happy reading! Oh my gosh, I want that Little House Cookbook so badly!! I've been waiting for it to come in to my local used book store, but I might just have to fold an buy it online. It was one of my absolute favorite library books to check out as a kid! And that bunny is adorable. Great monthly wrap-up as always. These are some of my favorite posts from you--I always find a whole bunch of new things to look for and read! I LOVE your Christmas PJs!!! We usually get them as well. I haven't yet read or watched Unbroken. I really want to read it, but honestly the movie looks WAY too heavy for me. I don't know... that is a subject I can imagine enjoying as a book (not precisely enjoying, but, you know what I mean, right?) but it seems HARD as a movie. You've gotten so many good books this month but best of all (IMO) is Anne! I got the Tundra paperback series for Christmas as well as the Tundra Emily editions. I love the way you do your recap posts. It looks like you had a wonderful Christmas and acquired so many books. I hope you are able to get them read soon. I bought some Butter London polish for my sister this Christmas, though I'm kind of regretting not purchasing any for myself haha. And I love the Peeta shirt and P&P mug. So cute! I grew up receiving pajamas on Christmas Eve, although that sadly didn't happen this year. It looks like you received so many wonderful books this month! I love those classic editions and yay for Juliet Marillier! Hope you had a wonderful start to 2015, Hannah! I feel another monster comment coming on... I love your monthly recaps! I've never bought Butter London but my sister loves it, maybe I should splurge! Those bookmarks are soooo cute and I love the mug! Perfect. Every Breath :D And yesss Gillian's Bicker Banter post! The best. I've always wanted to try Butter nail polish! And I was just looking at those magnetic bookmarks a few weeks ago! You are so right - book buying for friends is dangerous because it always leads to you buying things! Adding Unbroken to my tbr! I saw the movie trailer yesterday and thought it looked great! Glad to hear the movie lived up to it (even though the book still reigns first place)! 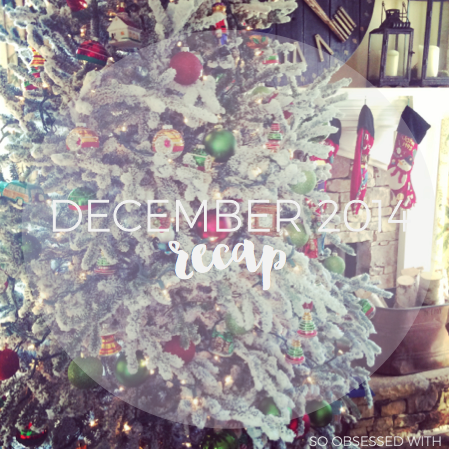 I loved getting a glimpse of what your bookish + real life during December was like! Your nail polish collection is most impressive, and I wish I were as dedicated to doing my nails as you are ;) And I'm so glad you like the mug! I saw it and just knew that you had to have it. Also, awesome book haul is awesome. Happy reading!